Secret location was sent out via email from WhiteBuffaloSpirit.org . Please check your spam folder and add us to your “Contacts” for further communications. We can’t wait to see you for our 4/20 Earth Day Celebration! We’ll be enjoying a beautiful patio garden in Santa Monica to celebrate this year’s Earth Day on Saturday 4/20, which just happens to be our national cannabis holiday! (Ok, we can’t fool you, we planned this). As an eco-conscious company, we consider our environmental impact every day, but we get the feeling that there is something extra special about this Earth Day and 4/20, so we’re going all out. Grab your ticket today. Ticket prices increase closer to 4/20. – 4/16 – 4/19 advance tickets are $20. We will NOT be selling tickets at the door, so please register now to join us for this very special 4/20 celebration. Ticket sales close at 12pm on 4/19. We will email registered guests with the details. If you are interested in sponsoring this event, please get in touch and we’ll send you the packages – spots are filling up fast! 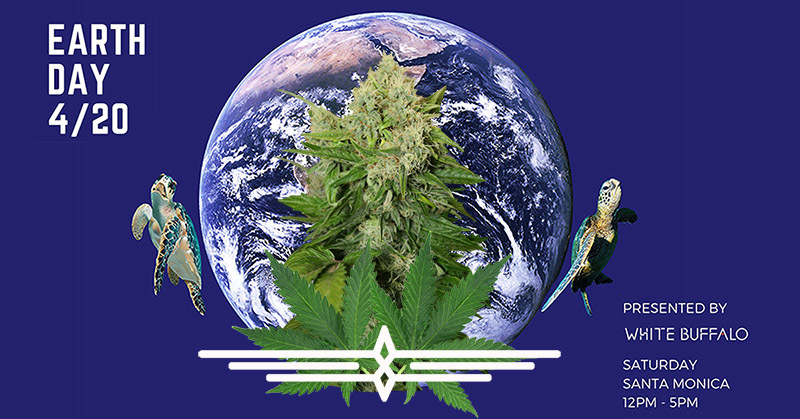 Click the logos below to learn more about our 420 Earth Day sponsors and partners. Here’s some scintillating audio for your listening pleasure from La Femme Pop!